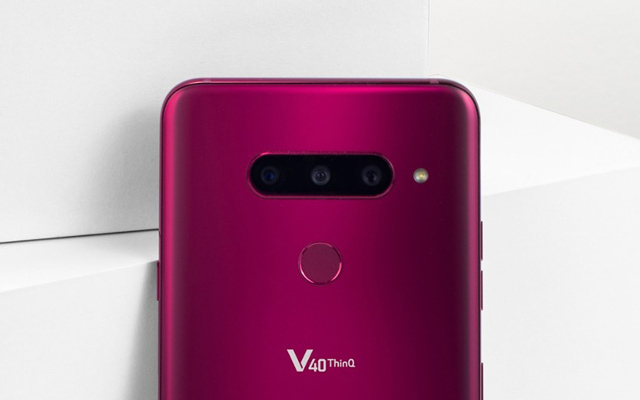 LG has finally officially unveiled the V40 ThinQ, a phone that’s been leaked numerous times over the past month. We already knew it would have five cameras, and a bunch of other high-end features. And now that it’s here officially, we don’t have to speculate about the V40 ThinQ. We’ll get to those five cameras later. 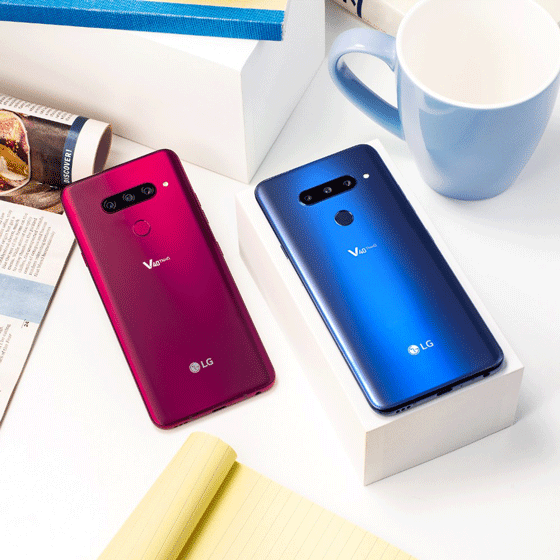 The LG V40 ThinQ is powered by a Qualcomm Snapdragon 845 SoC paired with 6GB of RAM and 64GB or 128GB of internal storage. The display is a 6.4-inch pOLED panel. This is LG’s so-called FullVision display and it has a QHD+ (3120 x 1440 pixels) resolution. The bottom bezel is 1.6mm thinner than the V30. LG has used what it calls a Silky Blast process to etch the tempered glass back with microscopic pits and create a smoother matte finish, to reduce the slippery feeling, plus it’s more resistant to fingerprints and stains. The new colors include New Aurora Black, New Platinum Gray, New Moroccan Blue and eye-catching Carmine Red. At just 7.7mm in thickness, the LG V40 is quite sleek, but it still meets the US Department of Defense durability standards, passing 14 MIL-STD 810G Transit Drop Test and is also IP68 rated for ingress protection. Now let’s talk about those cameras. 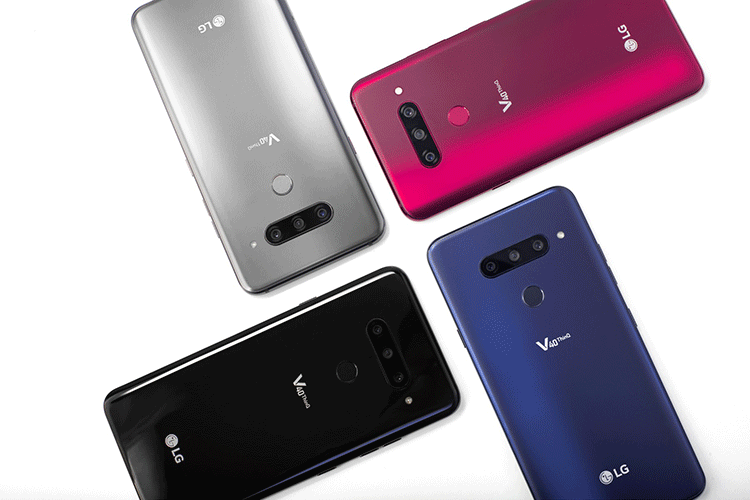 The LG V40 ThinQ’s rear camera module has three different lenses: a 16MP 107-degree super wide-angle, 12MP standard angle and 12MP telephoto lens. This is the best of three worlds, and most Android users would be happy with this combination. The telephoto lens beings 2x optical zoom (or 3.2x the zoom of the wide-angle lens), so you can click a variety of shots of the same subject. The pixel size of the main rear camera sensor goes from V30’s 1μm to 1.4μm, while the image sensor is over 18 percent larger than the LG V30. The front cameras are made up of a 5MP wide-angle lens and an 8MP standard angle. Together these are used for portrait selfies and LG throws in an on-screen slider to let you adjust background blur intensity, along with unique lighting and special effects. LG’s proprietary AI CAM comes with a new AI Composition feature that captures and recommends an alternative shot to you, to be used instead of the one you have clicked yourself. In essence, it takes an extra photo in the background in what it thinks is the best setting. There’s AI Auto White Balance (AI AWB) that supposedly automatically adjusts the color temperature across different lighting situations, and AI Shutter which picks the the right shutter speed for your subject, detecting movement or lack there-of. There’s an array of camera features- Cine Shot, 3D Light Effect, Makeup Pro, Custom Backdrop, My Avatar and AR Emoji. LG’s unique Triple Shot feature stitches together the images captured with each of the three lenses into a short video file for easy sharing. Now that should make for some amazing videos. The V40 ThinQ should also have great audio, it’s been tuned by Meridian and it has a 32-bit Hi-Fi Quad DAC. When placed on a solid surface or hollow box, the LG V40 ThinQ acts like a woofer to amplify the bass from the single speaker. Overall, the V40 sounds like an amazing package if you are really looking for a multimedia phone. There are some doubts about the pOLED display, which will be cleared once we get the hands on the phone. Unfortunately, there’s no word on pricing or availability. 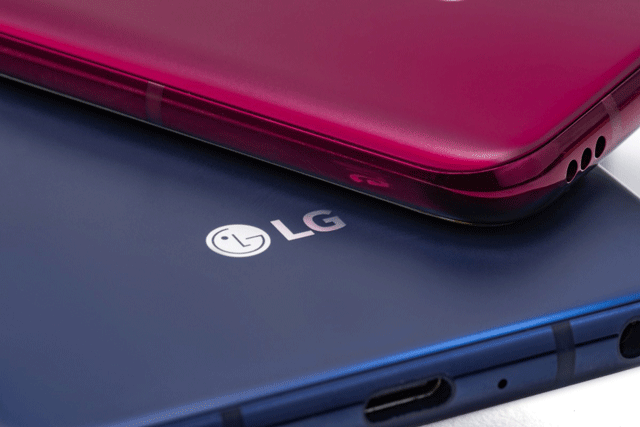 LG says it’ll announce them when it launches in specific markets. So do you like the LG V40 ThinQ? It sure is looking like a great large-screen flagship, but can it dethrone the Note 9?